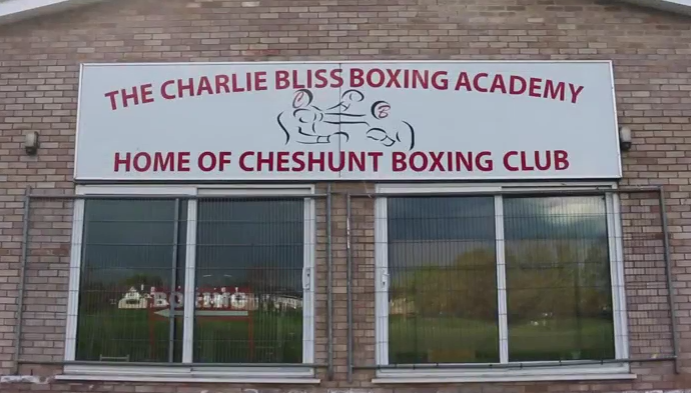 The Cheshunt Boxing Club will be closed from Firday 28th July until Monday 4th September in order for us to perform vital refurbishments to the gym. During this time all classes will be cancelled until the gym is reoperational in Spetember. If you need to speak to one of our coaches during the time we are closed, you can find our details on our Contact Us page. We apologies for any inconvenience this may cause, however we wish you all a well deserved summer break.. see you in our newly refurbished gym in September! We will be reducing our opening times throughout July and August as a result of several coaches going away for a summer break. During this time, the gym will undergo yearly maintenance thanks to our dedicated team of volunteers. Below you can find a full list of all of our opening and closing times throughout the summer period. *Please see below for our Nursery Classes Timetable. The Boxing Club will be completly closed from Monday 27th July - Tuesday 18th August, to allow us to perform vital maintenance on the gym. Our normal training times commence again from Monday 24th August onwards, with the exception of the Bank Holiday Monday (31st August). Then our normal closures, as shown above, come into play. Once again, we are completely closed from July 27th August - Tuesday 18th August, and open again as usual from Monday 24th August. If you are confused by any of these closures, or have a question regarding dates, please feel free to contact us. You can find our details here. Our Cardiac Screening with CRY was a massive success. We screened over 60 people, with 6 people being flagged as potentially having a cardiac illness. These 6 people have been sent to specialists in London for further treatement. Cheshunt Boxing Club will always be a supporter of CRY and will always encourage people to get their hearts checked out, as health should be everyone's number one priority. Here's a report from The Mercury based on a cardiac screening with Cardiac Risk in the Young (CRY) on June 9th. More than 60 young athletes were tested in a heart-check drive held by an amateur boxing club. 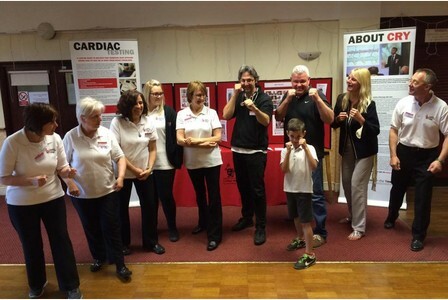 Cheshunt ABC organised the push, in conjunction with national charity Cardiac Risk in the Young (CRY). Of the 64 youngsters tested on Tuesday, four were found to have abnormalities. The young people, aged between 14 and 35, were tested at the club's Albury Ride premises, with one young rugby player travelling from west Wales to get his heart checked. The tests, which entail being hooked up to a monitoring machine, search for heart defects such as hypertrophic cardiomyopathy, which led to the death of former Stevenage FC and Oxford United footballer Mitchell Cole in 2012. The event is, in part, the brainchild of Steve O'Hara, a coach at the club whose own 15-year-old son got the all-clear when he was tested. "It was very exciting and went really well," said Mr O'Hara. "CRY themselves run an amazing service and they are so professional and proficient. "We have had a couple of lads who have been referred for further tests, and if we had a few more people take up our offer we could have saved more lives." His son, Stevie, who boxes at the club, said being tested and given the all-clear was "reassuring". He told the Mercury: "It was quite surreal at first. You feel like you're in 24 Hours In A&E or something like that. "I was quite worried, but it was over and done with so quickly and it was really reassuring." Playing sport can increase a young person's risk of cardiac arrest if they have underlying heart issues. According to CRY, mandatory heart testing for young athletes in Italy has reduced young sudden cardiac death by 90 per cent. Mr O'Hara said he was disappointed that the team couldn't fill all of their 102 spots but that 64 was better than none. He said: "It was like a conveyer belt, and if we did have any more, we would have struggled. "We had a guy come from west Wales who said that this was his nearest one at the time. "He left with a smile on his face." Another young boxer who did the test is Kyran O'Neill, 20, who boxes in Welwyn GC. "Cardiac tests are really hard to come across, you don't get them very often," he said. "You only get one heart. At the end of the day, it's your health and it only takes ten minutes." Recently, two Belgian footballers died after collapsing during play. And in a high-profile incident, Bolton Wanderers footballer Fabrice Muamba was technically dead for 78 minutes after a cardiac arrest during an FA Cup match in 2012. We are holding a cardiac screening on Tuesday 9th June, in partnership with charity C-R-Y (Cardiac Risk In The Young). Together, we will check over 100 young, local people's hearts for cardiac abnormalities. Find out how you can get involved by clicking here. 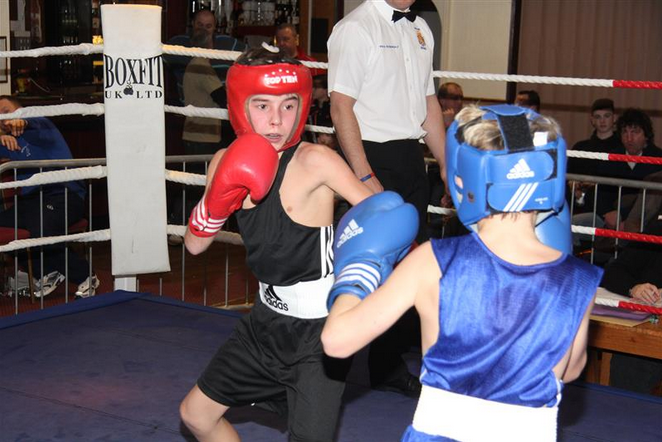 GET your heart checked – that is the message to young athletes from a boxing club's charity partnership. Cheshunt ABC will be hosting a cardiac testing day on Tuesday, June 9, in conjunction with Cardiac Risk in the Young (CRY). Representatives from the charity will visit the club's Albury Ride premises and will test 102 young people, aged between 14 and 35, for cardiac abnormalities, free of charge. Club coach Steve O'Hara said: "There are 12 kids a week in the UK who die from sudden cardiac disease and more are likely to be at risk of other heart problems. "It's just something that we feel would be nice to do for local youngsters." He added: "We had a boxer who had collapsed twice after matches and we had to tell him, 'We appreciate your effort, but it's not safe for you to box any more'. "You would be amazed by how many people say no to helping or getting involved with this." Cardiac issues in sportsmen and women have been in the news over the past few years, with a number of high-profile athletes collapsing on the field. In 2012, Bolton Wanderers footballer Fabrice Muamba suffered a cardiac arrest during an FA Cup match and was technically dead for 78 minutes at the age of 25. And in the same year, former Stevenage FC player Mitchell Cole, who had hypertrophic cardiomyopathy, died. More recently, two Belgian footballers, Tim Nicot, 23, and Gregory Mertens, 24, have died following cardiac arrests during play. A spokesman for CRY said: "One in every 300 of the young people that CRY tests will be identified with a potentially life-threatening condition. "Specialist cardiac screening will identify the majority of – although not all – young people at risk. "However, in Italy, where screening is mandatory for all young people engaged in organised sport, they have reduced young sudden cardiac death by 90 per cent." Playing sport can increase a person's risk if they have underlying cardiac issues and Mr O'Hara thinks that sports clubs have a responsibility to support their players. The Cheshunt session will begin at 9am and the non-invasive testing takes just ten minutes to complete. It must be booked in advance, with a fully-refundable deposit of £5 needed to secure a place. The testing costs £3,500, which has been paid by the club and their sponsors, with some also gained through fundraising drives.